This is the new Orlando City Home Football Shirt 2019. An expansion team in 2015, the Lions will fight for a first ever play-off spot in a tough Eastern Conference. 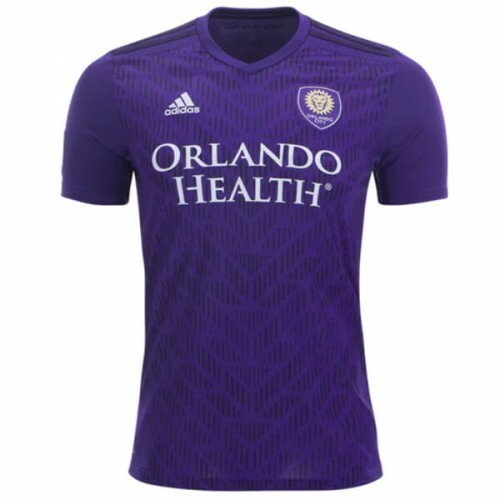 Support the team in an officially licensed 2019 Orlando City Home Jersey. Traditional home color purple with black and white accents. Graphic print front panel. adidas stripes on the shoulders. “Defend the Fortress” is printed on the upper back. SoccerLord provides this Cheap Orlando City Home Football Shirt also known as the Cheap Orlando City Home Soccer Jersey with the option to customise your football kit with the name and number of your favourite player or even your own name.